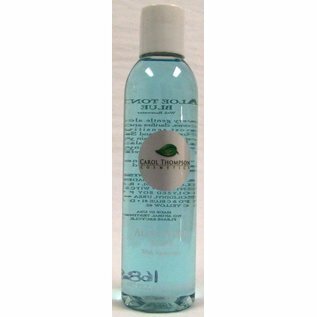 Skincare Aloe Toner Blue - Carol Thompson Images, Inc. This very gentle alcohol-free rinse, tones, clarifies and refreshes the most sensitive skin. Good for all skin types. Aloe, Rosewater and Soy Protein nurture and maintain your skin's natural moisture balance while gently removing any residue. Witch Hazel gently refines pores.